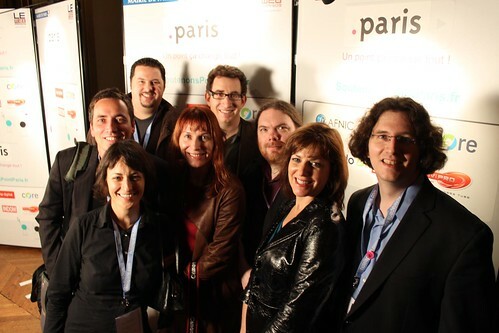 This week I traveled to Paris with a consortium of fellow bloggers, the Traveling Geeks. We’ve been meeting with tech companies and French entrepreneurs all week. 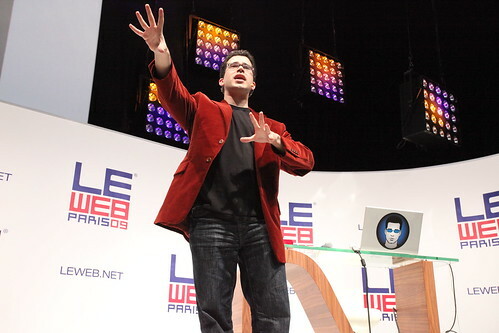 The tour ended with attendance at LeWeb, a two day tech conference produced by tech entrepreneur and Seesmic founder, Loic Le Meur. Here’s my summary of the best and the worst of the event, plus I included some other stuff experienced from the Traveling Geeks tour and Paris in general. 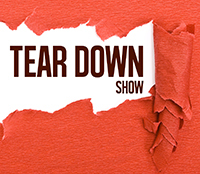 For a summary, make sure you watch my end of day show reports from LeWeb (day 1, day 2) and my other end of day report from the Traveling Geeks tour. 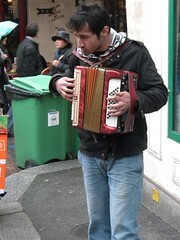 Cool – Accordions, Accordions, Accordions – There are plenty of street performers in Paris. Most of them are carrying accordions. On my first day I saw four sets of performers hop onto a train car, play a few tunes, and jump off. On one train a duo jumped on with an accordion and a stand up bass. My favorite was the karaoke accordionist that would also take a mic for a solo himself to sing “Just a Gigolo”. Cool – On the second day, finally the real-time web – If you were interested in the real-time web you could have completely skipped the first day of LeWeb and just come on the second day. Obviously everyone was eager for the real-time discussion because the deep discussion room in the back of the hall was packed for the event’s eventual real-time web agenda. I was very eager to learn more since I just published an analyst report this week on the subject (“Real-Time Search and Discovery of the Social Web” 20-page PDF). The presentations and conversations on real-time were truly excellent, beginning with some great actionable advice from Jeremiah Owyang. On the main stage, Queen Rania of Jordan, who has become an Internet celebrity, spoke about the real-time web, specifically making a call out to the audience to use the real-time web as activism to change the world. Cool/Not-so-cool – Moderators not agreeing with the topic – Andrew Keen, Author of Cult of the Amateur, led the panel entitled “Content vs. Conversation: The Debate over Real-Time Search.” His attitude towards his panelists from TweetMeme, Netvibes, Collecta, and OneRiot was pretty much “Why the hell do we need real-time search?” While I think it’s a good idea for a moderator to create some controversy (see article: “More Schmooze, Less Snooze: How to Deliver the Most Talked About Conference Session” 6-page PDF), Keen didn’t seem to be too savvy on the real-time search market and he didn’t let go on his opinion. There is a ton of value of real-time search (see business models section in my real-time search report), and until the end of the discussion he kept saying “Why would someone want real-time search?” He was constantly putting the panelists on the defensive. Cool – Double-sided name badges – One of the most irritating conference annoyances is name badge flip. Wear a lanyard with a name badge and inevitably it will twist around hiding your name. I must be a master because I think it’s more often than not for me. LeWeb is the first conference I’ve been to where they smartly printed your name on both sides of the badge. Brilliant. Cool – Our former President is wrong. The French are unbelievably nice – This entire week has been fantastic and the Traveling Geeks have been treated unbelievably well. Everyone. From the people who invited us to any random Parisian I ran into, I’m very impressed with how nice and welcoming everyone has been. Thanks. Cool – The French speak English – It’s been a while since I’ve been to France and I was amazed at how many people speak English. LeWeb is a conference in Paris, but it’s completely in English. The all-English conference is an obvious incentive to draw people from 40+ countries, most notably the U.S., to the conference. Not-so-cool – I don’t speak French – I’m a pathetic single language learner. Most people in Europe know at least two languages. And most of them have learned English for lazy clowns like me that haven’t bothered to learn another language. Cool? – Non-stop photo and video recording of the Traveling Geeks – I think this is cool, or just unbelievably dorky so it’s become cool again. For the Traveling Geeks’ first dinner in Paris everyone was taking pictures the moment we sat down at the table. There were probably 500 photos published from that dinner. And that’s continued throughout the trip. Guilty myself, here’s a video I shot of all the geeks on the Metro with all their digital image recording equipment. For more, here are all the photos taken by the Traveling Geeks crew (full screen). Not-so-cool – LeWeb is overhyped – Back in San Francisco, I had heard so much about how fantastic and wonderful LeWeb is. I had a lot of hope for this conference, and was overall disappointed mostly because of the hype. The number of demo stations of new companies was anemic and didn’t represent real-time web as I had hoped. While there were heavy hitters on the main stage, they weren’t revealing. But that’s always the case. The bigger your presenters at your show, the bigger the hype. But the bigger they are, the less they’ll talk openly. Often that has to do with working at a public company. But I think the issue is millionaires stay millionaires by not telling their secrets to a group of more than a thousand strangers. There were a few exceptions. 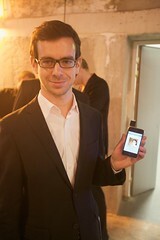 Cool – Credit card scanning on your mobile device – Jack Dorsey of Twitter demoed his new project, Square, a small box that connects to your mobile device’s audio out port and allows you to scan your credit card allowing for quick and easy credit card transactions via mobile devices. While cool, and can work on a huge number of devices, is it really practical? Are people really going to carry around this little black box wherever they go? I think the next step will be to embed this credit card reader in new mobile devices. Cool – Tim Ferriss on “How to Create a Following for $10K or Less” – One of my major complaints about most of the main stage presentations was the lack of actionable advice or telling the audience something we didn’t already know. I’ve seen Tim Ferriss present before and read his blog and he always delivers on great actionable advice. This was an updated presentation of one I had seen at WordCamp in San Francisco. 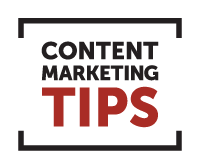 One tip is to simply focus on the blogosphere and key people in the blogosphere and look for the long haul. Begin by reading Kevin Kelly’s article “1,000 True Fans.”, said Ferriss. Not-so-cool – Who didn’t pay to go on the main stage? – It appears about half of everyone who appeared on the main stage (panelists possibly excluded) paid in some manner to be there. It could be more. It’s obvious because so many sponsors were on the main stage. None of these seemingly paid appearances were disclosed. I’ve been to plenty of conferences where there were paid presentations. Many disclose that information in the printed programs with the note, “Sponsored presentation.” For a community that keeps talking about the need for “authenticity” online, I think it would be nice if there was some authentic disclosure as to who did and didn’t pay to be on stage. UPDATE: Loic Le Meur responded and emphatically denied this claim. Saying that none of the people on stage paid to be there. See comments below for more. Not-so-cool – LeWeb is an old boys’ network – I was thinking this and then I heard it repeated by a few of my colleagues. Loic gets many of the same people to present, interview, and moderate, such as Robert Scoble and Michael Arrington. Since they’re friendly off stage, their on stage presentation has this sense of being an old boys’ network. It’s not the most welcoming feeling for the people in the audience. People were definitely unnerved by it. 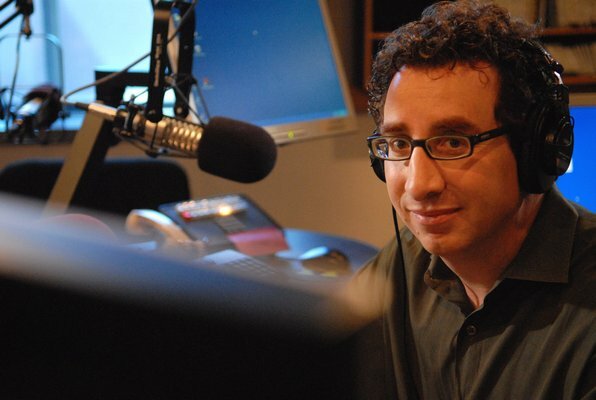 Not-so-cool – Chris Pirillo is the Rush Limbaugh of the Web 2.0 community – Rush Limbaugh, a conservative syndicated radio host, became popular because he’s a credible voice that confirms people’s existing beliefs. This is exactly how I felt about Chris Pirillo’s presentation about community. Better known as preaching to the choir, my sentiment was evidenced by the number of tweets that echoed “I agree with him” rather than “I learned something.” Here’s an edited sample of tweets to prove my point: My favourite quote of the day :-), Brilliant! !, i love it! !, Chris Pirillo is right, I’m loving Chris Pirillo’s presentation, The Reverend Chris Pirillo is wrapping up. He actually made be blurt out jesus christ, and Halle-freakin-lujah. One other tweeter saw what I was seeing: Chris Pirillo is Great speecher but only brought self-evident ideas. I had a conversation with Chris about this last night and I simply said to him that I think he could do better. He has done better. 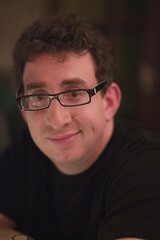 He knows how to educate an audience as a former host of TechTV’s “Call for Help” and in previous presentations. I noted his vision six years ago that RSS would be the Holy Grail. He was right. That’s what I wanted to see at LeWeb and he didn’t deliver. He told us what we already knew which was we need to stop focusing on the tools and think about the importance of community. He didn’t think the audience knew that. The general populace yes, but the LeWeb audience? They know. Pirillo just led a revival to confirm their beliefs. Cool – A scannable and identifiable model of Paris – Forget Google Streets, through a project called Terra Numerica by a research group called CiTu, they’ve completely scanned and identified elements all around the city of Paris. This information is now in a database that’s been used by developers to create fly-throughs, simulate a flood’s effect on the city, and test security cameras around the city. Watch a video of the fly-through and my interview with Maurice Benayoun, Artistic Director of CiTu. 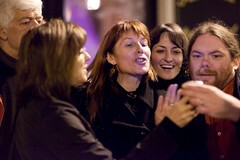 This was during our Traveling Geeks tour, not LeWeb. Not-so-cool – Europeans’ fear of failure – While we were visiting the startup incubators I heard multiple times that there’s a European culture of fear of failure. This is quite unlike in the U.S. where failing is a learning experience. In the U.S. we’ve actually got a conference entitled FailCon where we learn from each others’ failures. For some, failure is a badge of honor. I remember talking to one entrepreneur who proudly told me about his seven failed startups. Not-so-cool – Robert Scoble’s outburst at the French entrepreneurs – Well known blogger Robert Scoble joined the Traveling Geeks briefly for one event prior to LeWeb. At this series of presentations by French entrepreneurs, Scoble sat down and immediately wanted to know everyone’s Twitter address. They didn’t have any and instead of just accepting that fact and listening to their presentations, he started yelling and swearing at them telling them they must get on Twitter. He argued that it’s the only way he can promote them to his 100K+ followers. Ubergizmo blogger, Eliane Fiolet, asked Robert, “Could you say that a little nicer?” Scoble responded, “No.” His childish and rude response created a pall over the room and the rest of the Traveling Geeks were very unnerved by his behavior, as it spoke badly for our group. I should note that Robert is a really nice guy and it’s not normal for him to behave like this. Extremely cool – The Traveling Geeks – I only knew a few of the Traveling Geeks before I went on the trip and I was really impressed by the entire group. Everyone was incredibly friendly, nice, and welcoming. I want to say an enormous thanks though to the lead organizer of the event, Renee Blodgett, and also to Sky Schuyler, and Eliane Fiolet for all their work. I look forward to being on another trip with them in the future. Here’s a silly animated video of us, plus a video of Geeks on a Train, and make sure you check out the thousands of photos (full screen) taken on the trip. Some of my other coverage of the event. Creative Commons photo attributions Olivier Ezratty, Robert Scoble, Chris Heuer, Matthew Buckland, Rodrigo Sepulveda, LeWeb, and Blogowski. What can you do with a scannable and identifiable model of Paris? Free report "Real-Time Search and Discovery of the Social Web"
I understand better the discussions that occurred during presentations Tuesday noon! It is RUDE to present to a bunch of tech journalists and then tell them “I don’t have time to be on Twitter.” That’s what three CEOs in a row told me before my outburst. Sorry, how many followers were in that room? How many lost opportunities because these CEOs are clueless? I would say the same thing to ANY USA CEO. By the way, here are 500 tech startups that are on Twitter: http://twitter.com/Scobleizer/tech-startups These companies are NOT lame. Here’s more than 400 tech companies that are on Twitter: http://twitter.com/Scobleizer/tech-companies These companies are NOT lame. Here are 500 tech journalists: http://twitter.com/Scobleizer/tech-news-people (If you aren’t on Twitter you are NOT reaching these people). This is why I got angry. Someone should have the balls to tell these CEOs the truth in the harshest possible language. Dude. 2 sided name badges? We’ve been doing this at Health 2.0 since the start in 2007. Why? Because Esther Dyson (who ran PC Forum for 20 years) told me the trick. 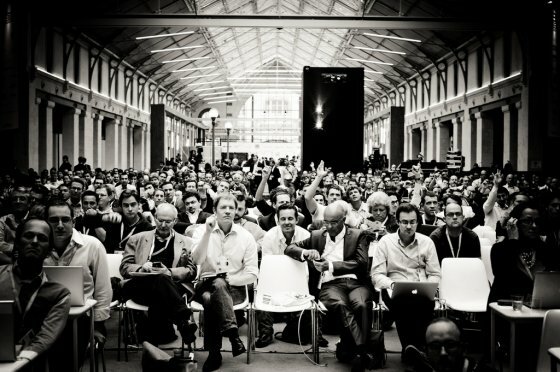 Otherwise nice review of LeWeb and we invite you to Health 2.0 Europe in Paris in April. Rodrigo, sorry that I missed your attribution. Thanks for catching that. I’ve updated it. Matthew, never been to Health 2.0 or PC Forum. I’ve been out of the loop. Double-sided badges. It’s a great trick. But, as you assert that the mere fact that not being on Twitter is being rude to you. I find that hard to believe, since there are many ways around it. You can still mention a company through an URL. You don’t need to mention a Twitter handle. Also, if someone told me they didn’t have a phone number or an email address, I don’t think I’d swear at them to get one. What “swear” words did Scoble use? David: I answered you over on my blog, thanks. I’m sorry it reflected poorly on Traveling Geeks, but then again they wanted access to my audience and that doesn’t come for free — you have to listen to what I think once in a while. I really enjoyed reading your post, David, and the insight you provide us (french) on our relationship to the web, and the entrepreneurship on the web. You’re totally right on the diagnosis about that “fear of failure” thing. We all(french, spanish and italian, afaik, so let’s say european) suffer from that. If you know a way of saving my soul from that pain, I might allow you to put an option on it (yep, my soul). And, it’s obviously not about Twitter, but more about the “social web”, and the “real-time web”. Accordions are for tourists. Sorry. I think Chris Pirillo is a major thinker in his field. Scoble is losing touch with reality …. “you must be on Twitter” … laughable. Zackatoustra, yes, I know accordions are for the tourists, but then again I’m a tourist and I found them entertaining. But it wasn’t just that. I’ve seen tons of instruments in the subway and on the streets. Far more than I see in other cities. I can only respond to your assertion with one very simple counterpoint: do you only listen to your favorite songs once? Why do you like listening to them over and over again? I agree, but I think your point reasserts my point. You led a Web 2.0 pep rally in extremely impressive fashion. @david – ‘the old boys network’ thing is certainly something that resonates with me. I couldn’t attend as I had a conflict but even then I was thinking – do I really want to hear the same talking heads? Again? I’m guessing but I suspect that LeWeb is due for a reboot. Gathering 2K people under one roof for 2 days is certainly a creditable achievement in the current economy. But giving visitors like your self the sense you are being short changed doesn’t help what is otherwise an excellent independent production. I can say that I’m totally disappointed by both of the comments you make about his contribution. I’m truly sorry to hear that the audience had so little to say when he spoke, and yet bothered to say it, nevertheless. Is this commentary on how ultimately meaningless Social Networking REALLY is? I hope not! As for Chris: my ownership statement above dates to 1997, when I changed his then text-only Lockergnome newsletter into an HTML vehicle, over his strenuous objection (you’re welcome, Chris). I also taught the little dude to speak in short colorful soundbites, once again against his own inclination to ramble until he’d made his points. This many years later he’s just speaking in platitudes? Wow, that makes me sad. The Social Web matters. But if we don’t use it intelligently for something beyond self-promotion, that statement will cease to be true. Hint to Scoble: Twitter is a narrowcasting fad that provides for no critical depth of conversation. There, I said it. Responding to the last four comments. Dennis – Who’s learning from who at the conference? Are the French learning from us or are we learning from them? My feeling is there’s a lot of Silicon Valley telling them what to do. I’d like to see far less of that. In fact, I’d love it if there was none of that but rather France was telling us what they’re doing and then ASKING us (the rest of the world) questions. As long as Loic is running LeWeb, his insane influence and friends will continue the “old boy’s network.” That will never change. Stephanie: While I don’t approve of Robert’s actions or his half-assed apology, it has stirred up quite a discussion especially on his blog. Make sure you join the discussion over there as well. Jeff: Chris is cool with my statement. I think we had a major disagreement about what the audience did and didn’t know. Steve: Make sure you say that on Scoble’s blog as well. 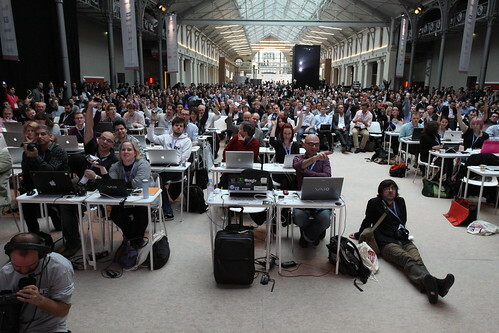 BTW, as a note to all readers, if you PAID to attend LeWeb, I’d like to interview you. Please contact me and let me know. Hi David, glad you liked it overall! With Twitter, MySpace, Facebook, LinkedIn and others all taking the stage to talk about their RealTime platform for the developers the first day and more Twitter news released by Ryan Sarver than I have ever seen in one day, I wonder how you can say there was nothing about the RealTime web day one? oh and David, I am very offended by your comments that half of the plenary stage paid to be there. This is entirely wrong obviously. We have sponsors and without them we could simply not organize it, so yes, we have some of them on stage but also many that are not on stage. For example, Facebook organizes a developer garage at leweb, which has been a huge hit for two years, they are, therefore, a sponsor too. Do you really think I invited them to keynote because they organize this workshop or because the theme is the realtime web and the audience wants to hear what they have to say? there is a valid question in your comment, which made me think, but the way you wrote it is again, very offending. There was no “sponsored” session at LeWeb. NONE. There were sponsors on stage, but they had not automatic right to be on it, see our huge list of sponsors and how few are actually on stage. Now saying that half of the speakers paid to be there, is just nonsense and insulting. First, let me say you produce an excellent show. From the pure mechanics you and your staff did an excellent job. Kudos to you. With regard to your two comments, yes, those real-time companies were on stage but there was no deep dive into real-time discussion until day two. From what I saw, those companies only made brief mentions of what they were doing. Nothing more than what had already been reported. The lack of real-time content on the first day is evidenced by the fact that the prepared sessions written in the program for the main stage had zero mention of real-time. If a show is advertised to be about real-time the paid attendees would expect deep discussion on that topic. I’m not the only one who feels this way. After the first day I kept hearing the comment “Where’s the discussion of the real-time web?” I’m glad that changed on the second day. As for whether companies’ presence on the main stage was paid for or not, I will admit I don’t know. It’s very unclear to me. And yes, my wording was specifically designed to question the obvious. When you look at all the company names that will be on the main stage and then you look at the back of the program at the sponsors and you see at least half of them are the same. One obviously makes that connection. And I am well aware that sponsors is what makes an event like yours possible. But I fail to believe nobody paid to be on that main stage. I’m guessing it was indirect influence. For example, Pearltrees, a start up company who was a major sponsor of your event and also a sponsor of the Traveling Geeks was on the main stage two times. Are you telling me that a start up’s sponsorship didn’t get them access to the main stage TWICE? As for the big companies like Twitter, Google, and Facebook who appeared as sponsors for your event, that’s unclear because even if they weren’t sponsors of your event you would still probably want them on your main stage. Your Facebook point is what I mean. People would want to see them there regardless. But given the high correlation between main stage presenter and sponsor, it’s very unclear. Again, I’m not the only one who felt this way. I heard this many times on the floor. I’m sorry if I offended you. That was not my intention. But the connection between people on stage and sponsors was egregious. While you claim no session was outright “sponsored” I can’t believe a sponsorship (even if not written out in the sponsorship contract) didn’t get many of the companies access to the main stage. Am I wrong? Thank you David for this blog post. I couldn’t attend this year and your post is an excellent summary. I was annoyed that I had to miss the event and now I see it was actually one big party. More seriously, I attended LeWeb last year and found it quite interesting. I strongly felt the discrepancies between the American and European way. The fact is that there are way too many cultural differences in Europe to compare it to the USA and saying that we Europeans have to follow the American approach and services, is simply too bold. The second day, the security guy made a point of checking both sides of my badge. One side effect of the double-badge is that it seems like some baddies were taking one side out and giving it to their friends to sneak in, or the organizers thought that might happen. Turns out the badges also had a holographic strip on one side. One of our Traveling Geeks, Eliane Fiolet, had a hell of a time getting back in because she forgot her badge. Next post: Cranky on AOL and ICQ – who's still on it?